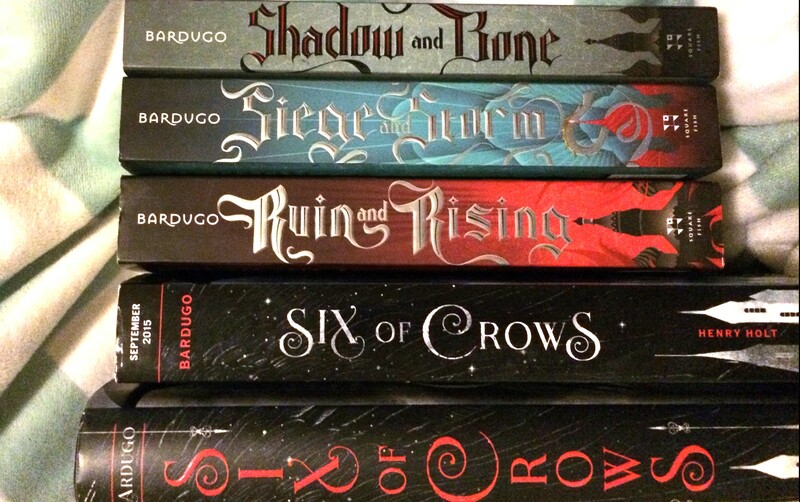 Event Recap – Fierce Reads in Toronto! 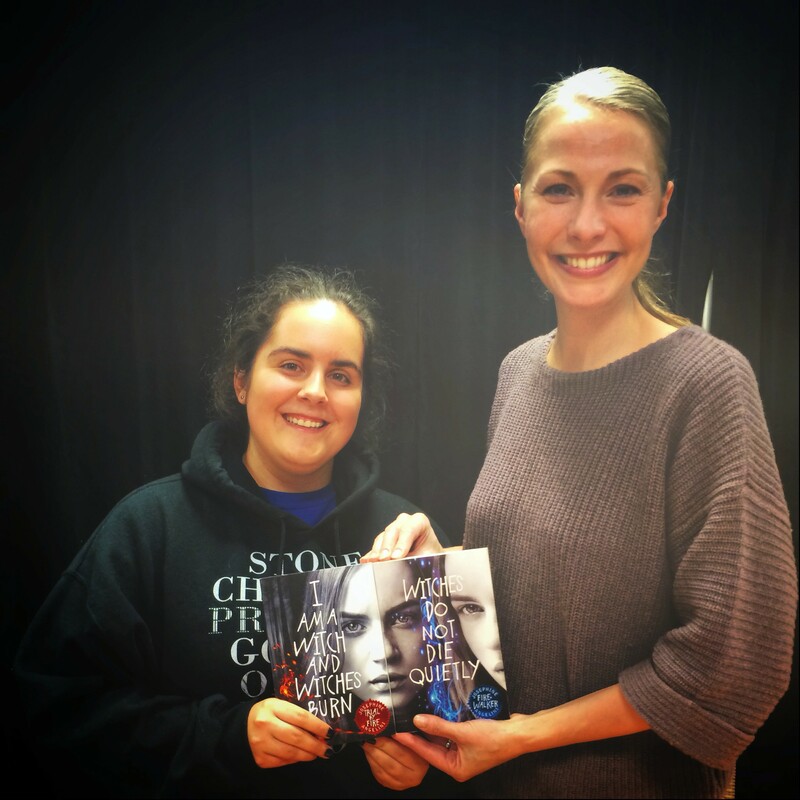 Last Saturday, October 17th, Toronto was lucky enough to host the last stop of the amazing Fierce Reads tour at the Yonge & Eglinton Indigo location. This event was so important that I missed the last home game of the season for my beloved Laurier Golden Hawks to be in Toronto instead! It was a decision I struggled with when I found out about the time conflict but let me tell you…it was soooo worth it! 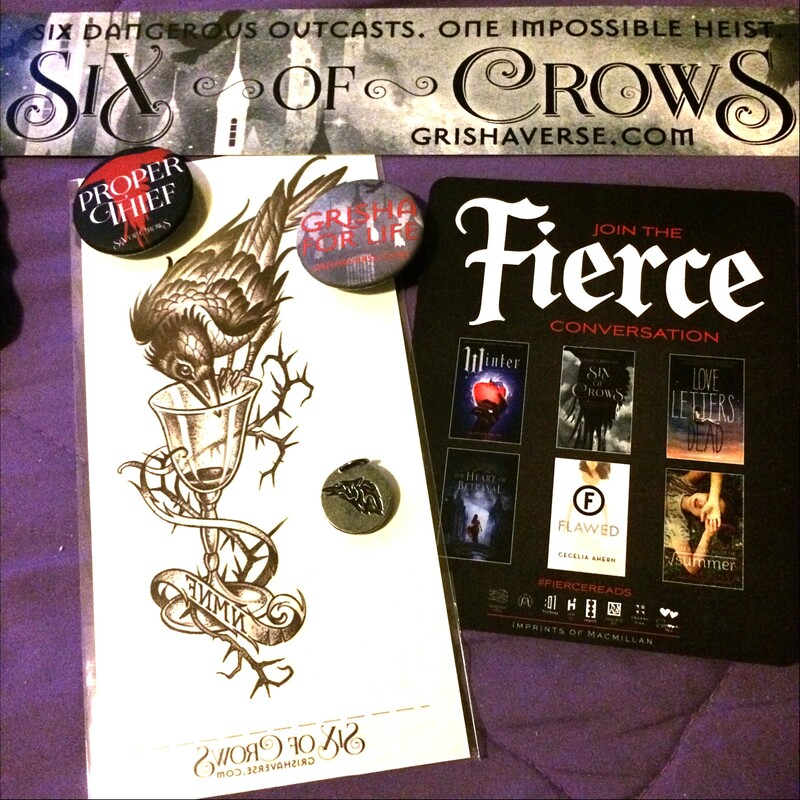 I love Trial by Fire and Firewalker by Josephine Angelini and I had an ARC and finished copy of Six of Crows so I was incredibly pumped up about the signing. I also dug up copies of 2/3 Grisha trilogy the day of the event so, once I got to the store, I popped in to pick up the third book as well as First & Then (football? yes please!). 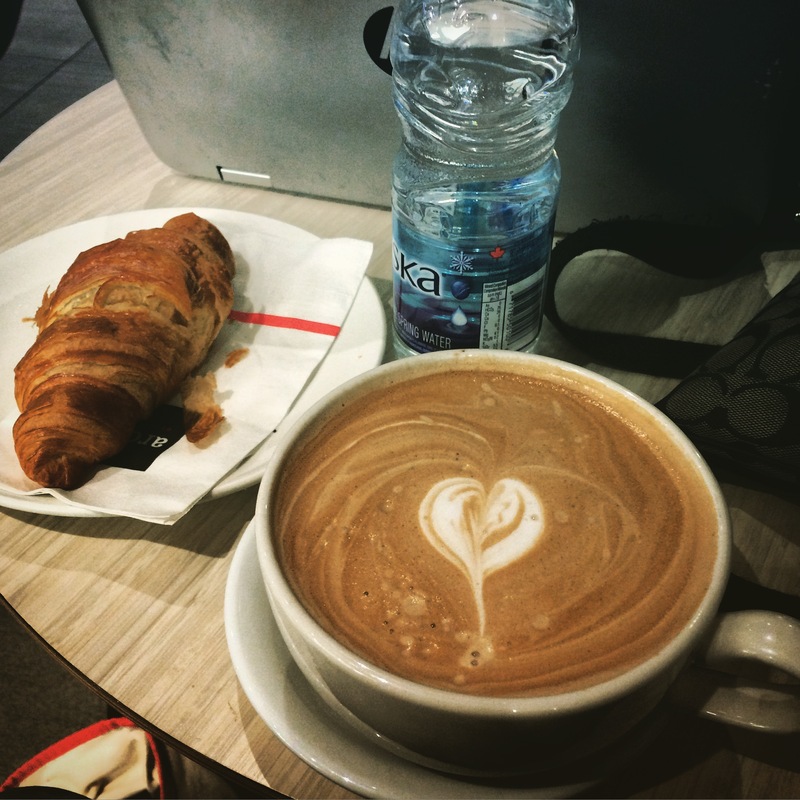 I was there pretty early but we were hungry so a dash for food (and caffeine) was in order before things got started. By the time we got back, the event space had totally filled up. Thankfully I spotted Shelly and we snagged standing space with her for the Q&A. That part was pure gold. You really got to see the personalities of all the authors on the tour and it was incredible. 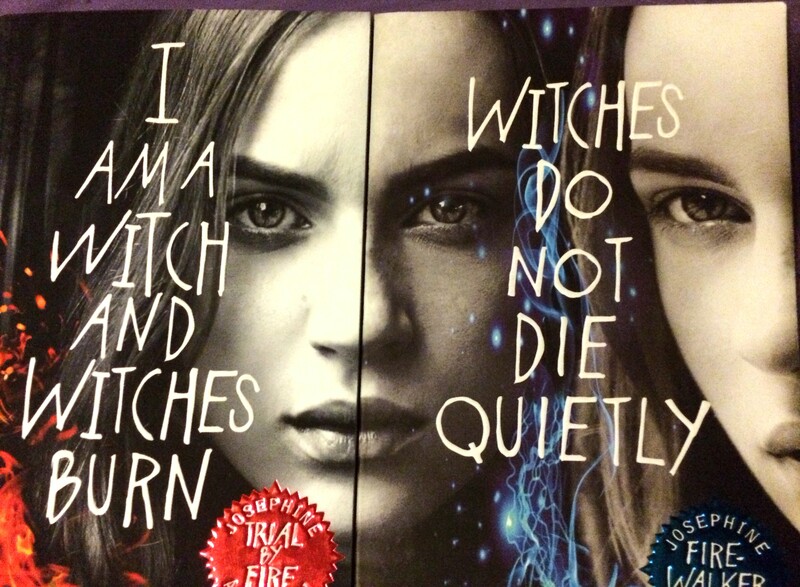 Leigh Bardugo and Josephine Angelini in particular had me in stitches! (Although all of them were absolutely amazing) A couple of highlights were Leigh saying Kaz would clean up if he were to venture into any of the worlds in the other authors’ books (kudos to Tiff for this awesome question) and saying she doesn’t think she she could write a dystopian because she needs “food and pretty clothes” (me too, Leigh, me too). I wish I could have remembered all the funny parts (nts: next time take notes) but man, these authors are quite something!! The Q & A was followed by the signing. As we were standing in the back, we weren’t up until group 3 so there was time to wander around. After the room had cleared a bit, we found an empty area and a couple of chairs and set up camp there until signing time. Our little trio made it in as the first 3 people in group 3 (yay!) 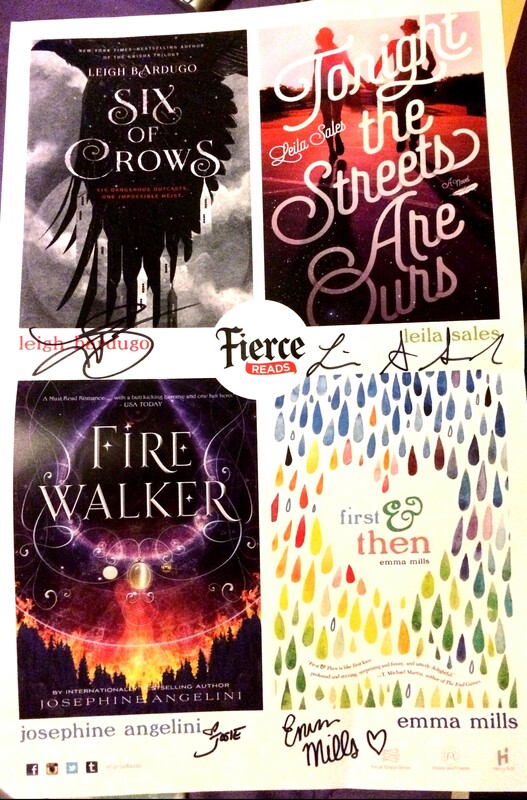 so we were lucky enough to snag awesome Fierce Reads posters to also get signed. This is where the magic happened! Getting to meet the authors one-on-one! 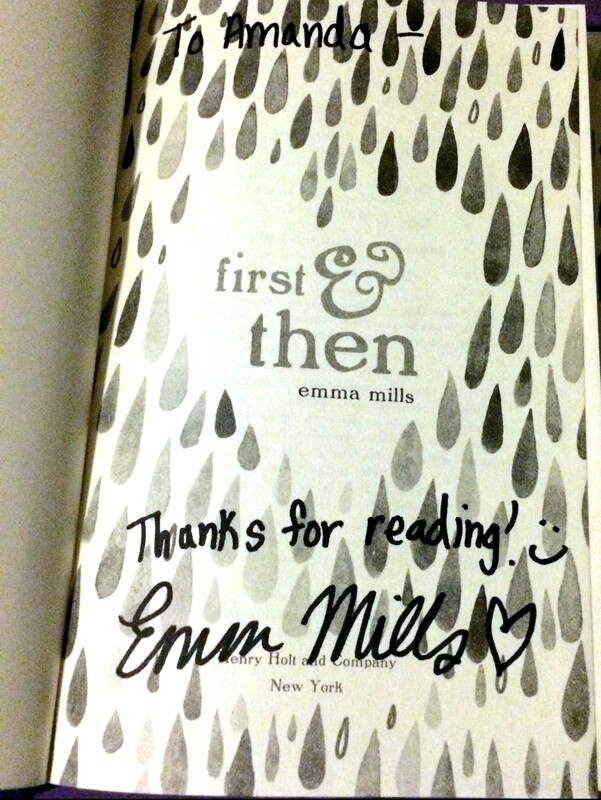 First in the signing line was Emma Mills. 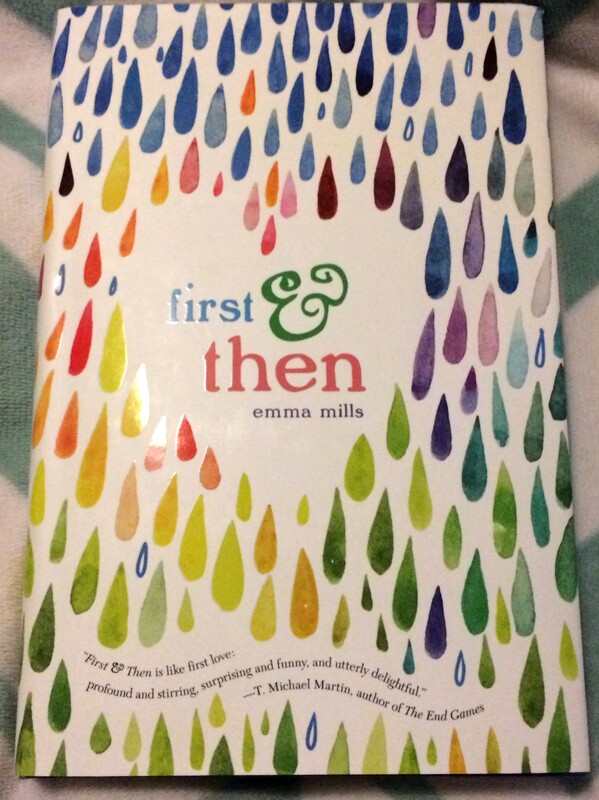 I haven’t read First & Then yet but I read some reviews that had me sold (FNL/football mentions? yeah, I’m there) so I was excited to get my copy signed and chat with Emma for a bit (she’s SO sweet and funny). Next up was Josephine Aneglini *FLAILS*!! I really love the Worlwalker books and she’s so funny on Twitter (she told me to read Firewalker and forgo cleaning and also approved my Cheerios reading snack because you need carbs to read…I couldn’t agree more) and meeting her in person was just as incredible…just kidding, it was even more amazing! 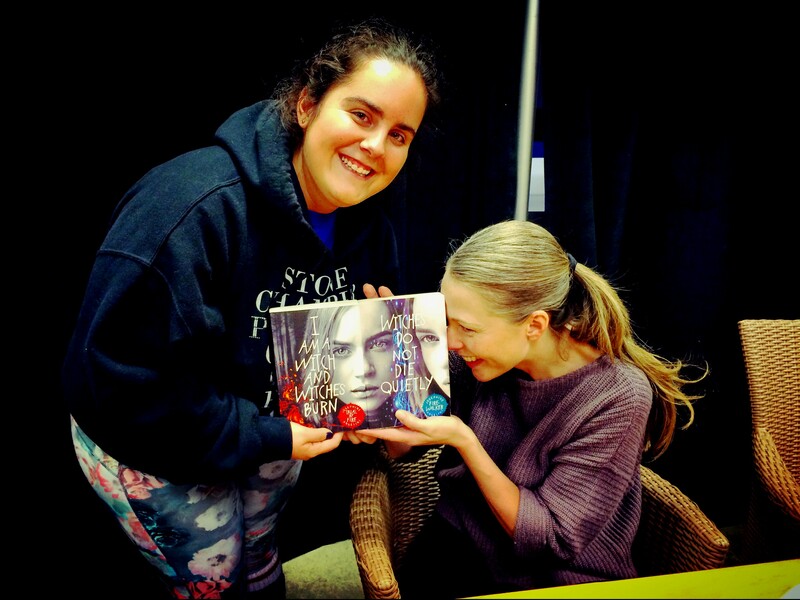 I will let my favourite picture in recent memory summarize what meeting her was like. I had no idea this was happening until after but I’m so glad it did! She has such a great energy and this captures it perfectly. I totally think I’ll be printing this one out and keeping it forever. Once I cleared up some memory in my phone (16GB is decidedly not enough for anything ever) we also took a “normal” one. Leila Sales was the third author at the table. Sadly, I didn’t have her book because of the pesky budget thing BUT I did have my handy poster and she was lovely as well. I’m definitely looking forward to reading Tonight the Streets are Ours either when my book budget grows or from the library. I love the “instagrammy” cover, great request, Leila! 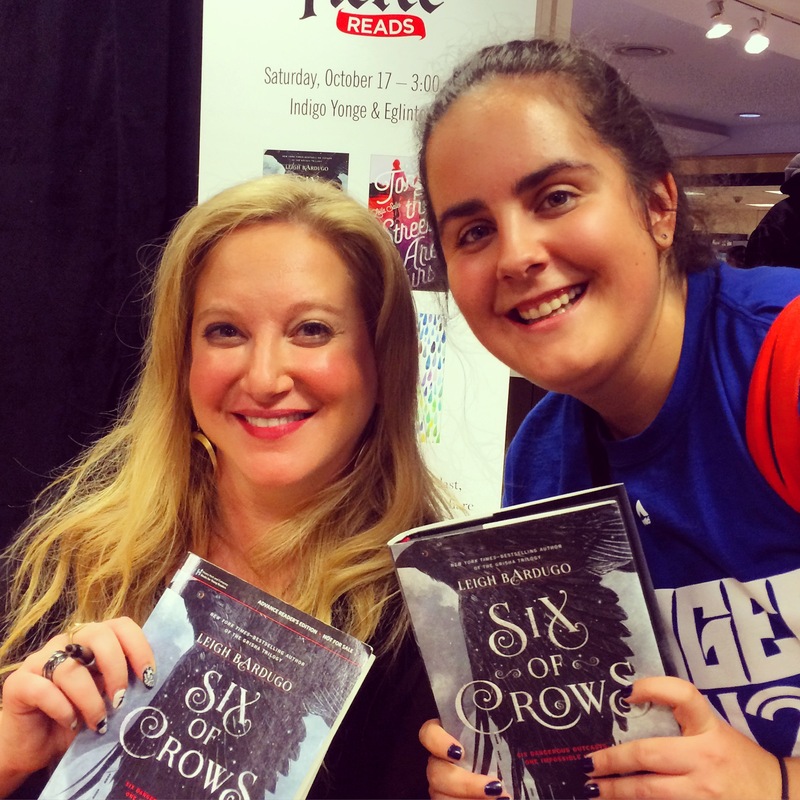 Last (but definitely not least) was the queen herself, Leigh Bardugo. 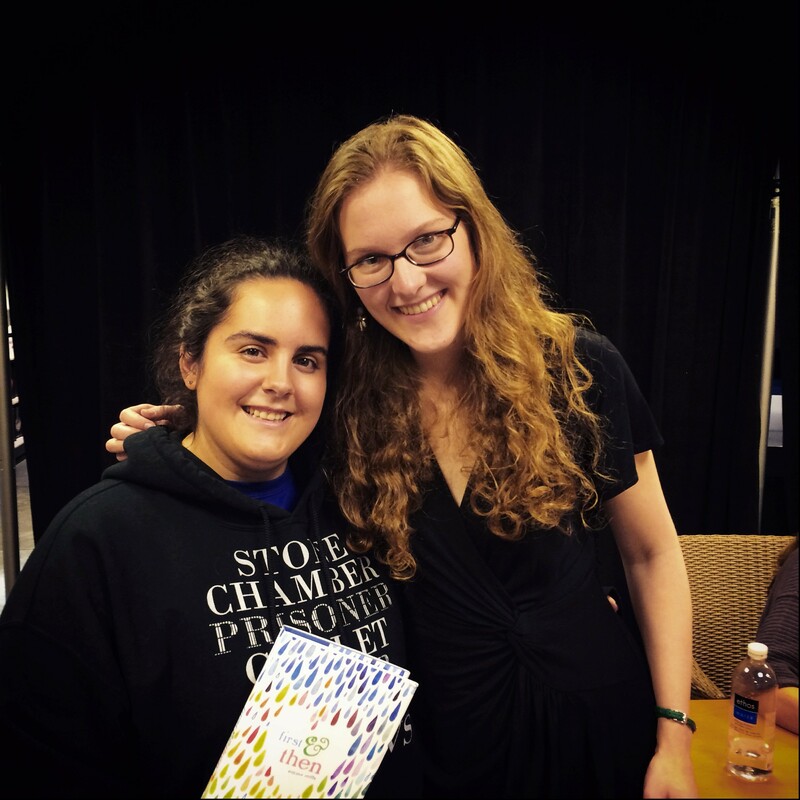 She was so generous with her time, I still can’t believe how happy she was to sign my pretty large stack of books. 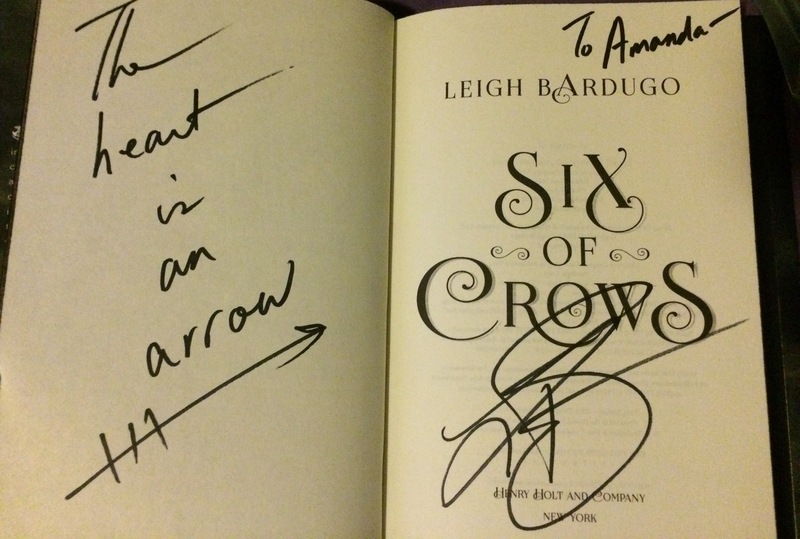 I felt a little bad bringing so many but she wasn’t phased and when I asked her to sign my ARC and finished copy of Six of Crows she thanked me for buying one even though I had an advanced copy (to be honest I wish I could buy 20 of them). 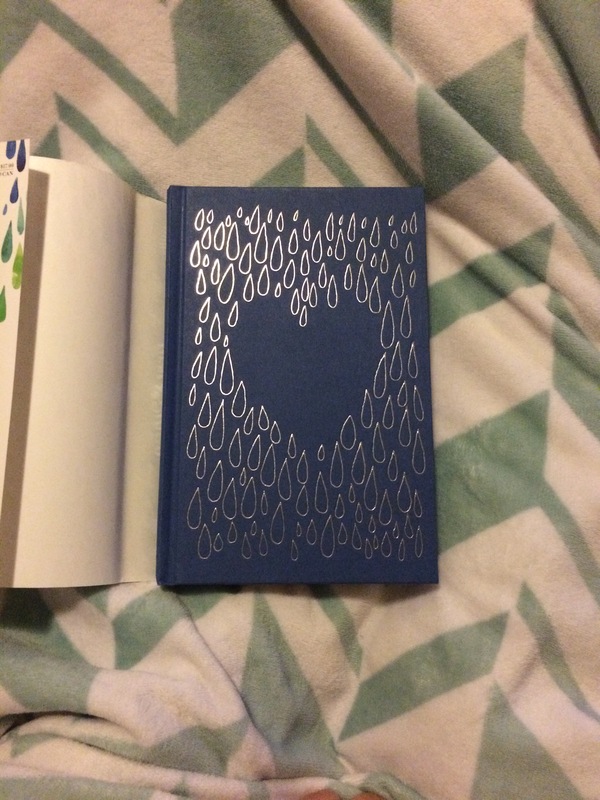 She even wrote messages in my copies of SoC! (The ARC and finished copy had different ones) One of the Indigo employees working the event was lovely and offered to take a picture for me (this was actually the first one I took, but I put them in author order for the sake of the post). I got to reconnect with a lot of amazing bloggers I’ve met over the last few months and introduce them all to Jerome, my boyfriend and the newest recruit to the bookworm club. This is just a few of the many amazing people! Tiff, Joey, Patty, and Jerome. 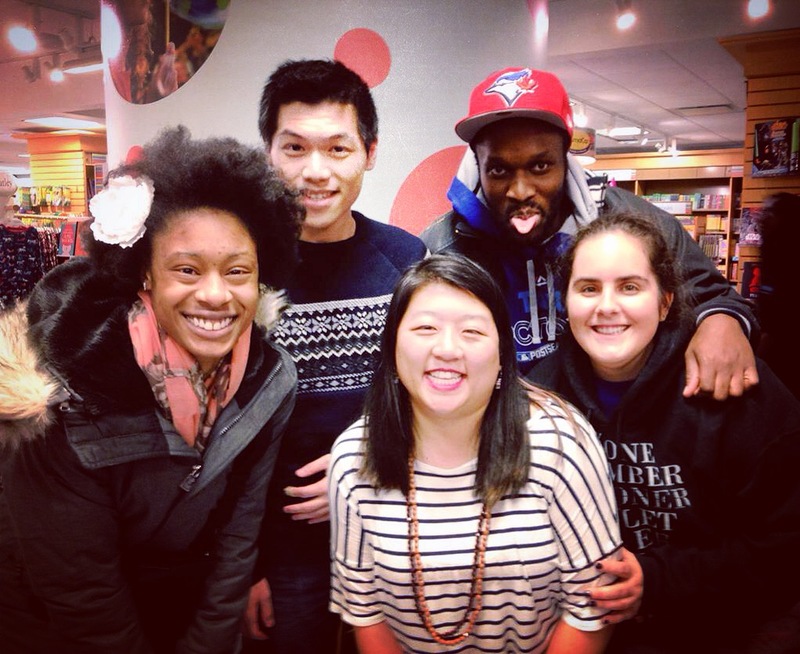 Bookish events have the best people, I’m telling you! It was so good to get to see a bunch of people again and chat about everything from baseball to Patrick Ness (that was mostly Joey and Tiff I think). After the event, Jerome and I found a table at the Aroma pretty much right downstairs and watched the end of the (sad) Jays game. I also looked through some of the awesome swag I picked up at the event! All the SoC swag! The bookmark and pins she had out on the table and the tattoo and little charm were available if you had the secret code word. Leigh, you are so fun!!! I could not have asked for a better day (okay maybe I would have liked the Jays to win but minor details). 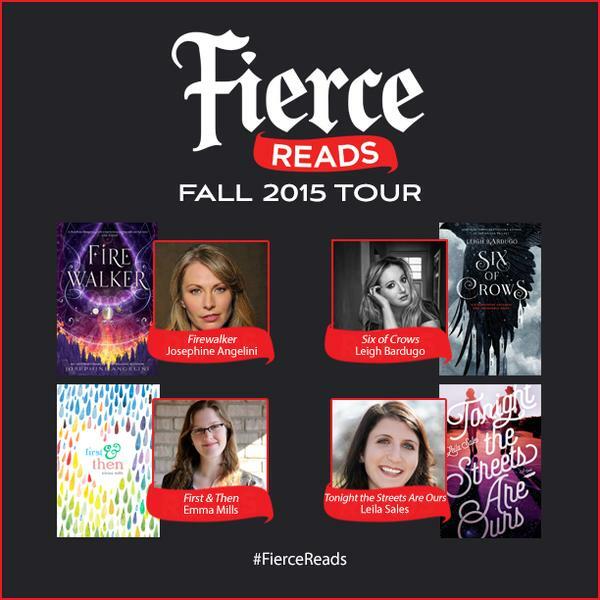 Thank you, Indigo and Fierce Reads, for such an incredible event!